With Android now running on over 2 billion active devices around the world, it's no surprise to see many popular apps beginning to cross the 100 million (or even 1 billion) download milestone. 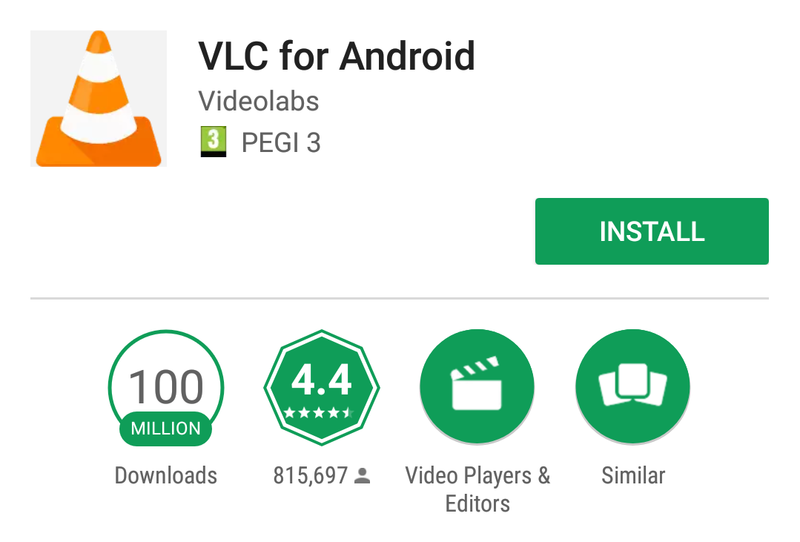 The most recent member of this select club is the popular VLC player for Android, which has just been downloaded over 100 million times on Android devices. As always, this counter is per device and not per account, meaning that if you've installed VLC on more than one of your devices over the years, then you've also contributed more than once towards this download count. VLC isn't the most popular video player on Android — that crown would probably have to go to MX Player — but it is arguably the second most popular. Of course, MX Player also has a 4-year head start on Android, so it isn't really an entirely fair comparison. While VLC may not be as mature as some of its competitors, it's been gaining polish and adding in new features. For example, just earlier this summer it added experimental support for PiP mode on Android O on the beta version of the app, which is extremely useful if you've ever found yourself wanting to multitask while watching a video or movie. If you feel like giving VLC another try, go ahead and download it from the widget below.